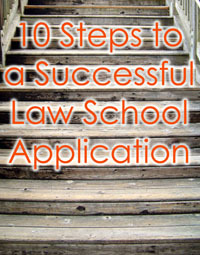 Want practical, easy-to-follow tips for successfully applying to law school? Then sign up for my online class: 10 Steps to a Successful Law School Application and learn how to put together your best application for law school starting TODAY. This class is taught by yours truly–law school admissions expert Peg Cheng–via a mix of videos, exercises, and short readings. Here are the 10 steps we’ll cover. You’ll come away from this class feeling informed, confident and ready to apply to law school when the time is right for you. Not only that but you also get the chance to have your questions answered by me in an online forum. For one low fee, you get 24-7 access to all 10 class lessons, as well as your questions answered online by yours truly, a law school admissions expert with more than 10 years of experience. You get all this for $15. That’s right. Just $15. Because I am a die-hard public servant (albeit one who owns a private company) and I am a big believer that good, accurate and helpful prelaw advice should be accessible and affordable. I’ve worked hard to download my prelaw brain into this class. It’s got tons of advice that I give to my clients every day–the kind of advice that makes a difference when it comes to being admitted into great law schools. You won’t find a deal like this anywhere else. Sound good? Then, sign up TODAY! I look forward to seeing you in class. January 1, 2015 Update: This class is no longer available. This entry was posted in Classes & Workshops by Peg Cheng. Bookmark the permalink.